NOTE: Users updating from SP1 to SP2 may also see a message when launching for the first time after the update that states: "One or more preference values could not be loaded." This is simply the result of a new preference value added to correct an issue with the option to Autohide docked palettes, click OK to continue using Vectorworks as expected. This Service Pack is available for all licenses as a downloadable updater. 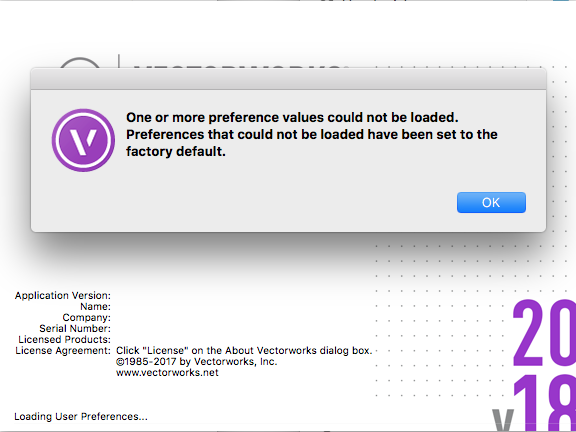 To install the Service Pack, please click here or select Check for Updates from the Vectorworks menu (Mac) or Help menu (Windows), and click Check for Updates. To learn more about the fixes and improvements in the 2018 SP2 updater, please visit this page.